Home / Seahorses / Help! My Seahorse Just Had Babies! Or, what to expect when you didn’t know you were expecting. Seahorses are known for their proclivity of having hundreds of babies when you least expect it. Photo by CARSTEN SCHÖNIJAHN You just walked by your tank to discover dozens, if not hundreds of tiny seahorses drifting around your aquarium. These miniature copies of the adults caught you off guard, and now you’re not sure what to do. This guide will walk you through what you need to do within the first few hours to try and save the young seahorses. In the immortal words of Douglas Adams; Don’t Panic! The absolute first thing you must do is decide if you really want to try to raise these babies. 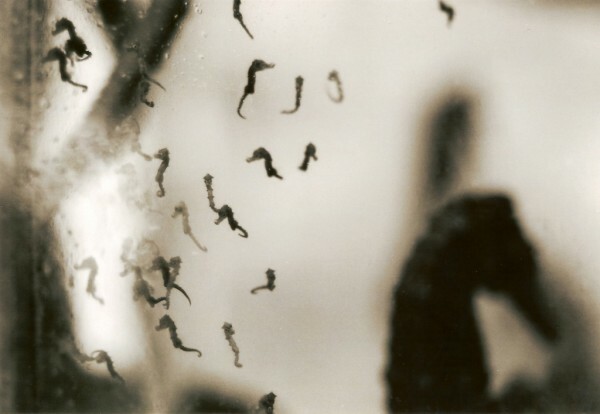 Raising baby seahorses is a time, space, and money consuming task. And there is no guarantee that you’ll be successful; very few seahorse fry survive in the wild. Being unprepared means that you’ll be starting from a disadvantage as well. 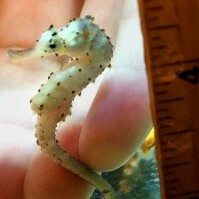 However, thanks to their yolk sack when born, baby seahorses can go 24 – 48 hours without eating.